The Fourth is coming! The Fourth is coming! 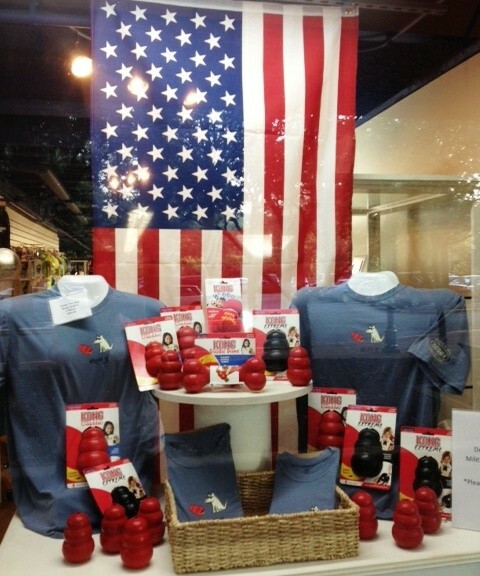 And Dogma Bakery and Boutique in Shirlington has a festive window display complete with patriotic toys and gear for dogs and owners alike. And don’t forget, the Fourth can often be a not-so-fun time for our furry friends. Here are some tips for keeping your dog calm during fireworks displays from Dogster.